What is the best way to earn money online? I discuss this topic with the assumption you are no tech savvy, no professional editor or an experienced marketer who can pretty much sell anybody anything. I assume you are simply an ordinary person who do your best to fulfill daily responsibilities, love your family, have a few things you enjoy doing. You may not be a pro in your hobbies. You just enjoy doing it or enjoy learning to do it. If the above description quite fits you, then the best way for you to start make money online is blogging, and utilize your blog site for affiliate marketing. The word “blog” is actually a truncation of “weblog.” In the beginning, blog entries (posts) were written by individuals who wished to keep journals online and share the content with others on the web. It has evolved from an online diary to now a marketing tool, as many bloggers write to promote products/services and earn commissions by doing so. Namely, this is online affiliate marketing. The combination of blogging and affiliate marketing is the best way to start an online business. All the four necessity above will cost you about $60 a month. If Yes, there is a way to start out completely free, but I’ll tell you this now. Investing some money will tremendously speed up your progress and save you from lots of stress and frustration. Meaning, your success will come to you quicker than later. So, How Do I Start Out Exactly? In this article, I am going to share with you how to go about it. I hope it helps you to get an idea as to how you can start out. The process of start blogging and affiliate marketing is broken down into the following basic steps. Let me explain the entire process with an example. Let’s say you have suffered from skin problems and as a result, have lots of experiences and knowledge regarding good skin care products. You are eager to share with the world many helpful tips you’ve acquired over years as to how to keep your skin healthy, beautiful and young. So, you chose “How to keep healthy skin” as your niche. You created a website (you can do this free) and titled it “How to Keep Healthy Skin.” You chose a web-hosting company. This requires you to pay a monthly fee. You begin writing contents about your niche: healthy skin. They could be about tips to keep healthy skin, what food is good or bad, what could trigger skin allergy, natural skin products, etc. There is a reason why people say “Content is King.” Keeping to write valuable contents plays a huge role in bringing consistent visitors. You also need to promote your website via social medias and practice other SEO tactics. These things are taught through a well-organized, high-quality training. You could easily spend a few years trying to learn these techniques on your own. Don’t waste your time. Once you established a certain amount of traffic, sign up for affiliate programs that are valid within your niche (healthy skin). You can find them by Google searching under the term, for example, “natural skin products + affiliate” or simply check the company of your favorite skin products has an affiliate program. 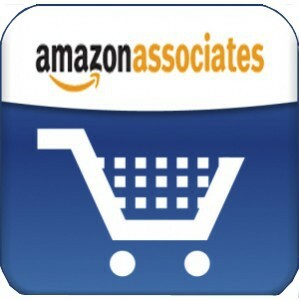 Or, you can always try Amazon and join their affiliate programs “Amazon Associates.” You know you can always find products you are looking for at Amazon. The commission rate is not so high (4% to 8%). However, due to its brand known worldwide, Amazon could be a great place to start for newcomers. If a visitor read one of your blogs, felt like trying a product you recommended and purchased it through your affiliate link, then you earn a commission. The earning could be tiny at first. But remember, the number of visitors will increase as your blog site matures. As long as you keep working at it, the earning potential could be limitless. 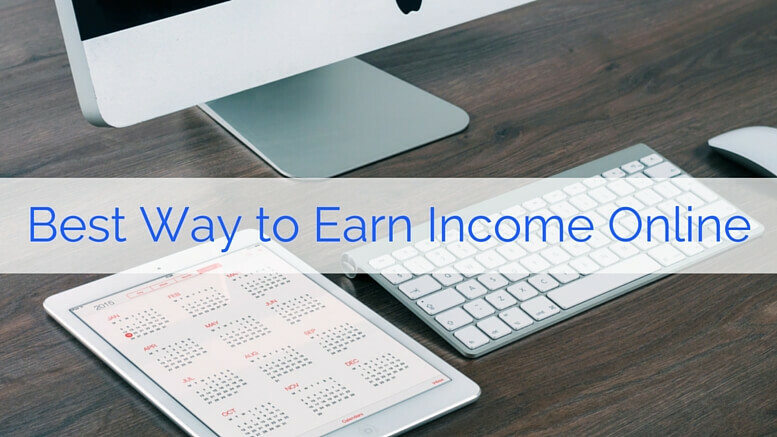 Earning income from blogging and affiliates is what I get started doing. I, at first, started doing it part-time. I didn’t quit my job and just blogged in my spare time. I, at first, started doing it part-time. I didn’t quit my job and just blogged in my spare time. In my case, I was lucky as I found a platform where I could obtain all the four things listed above. The program I came across is called Wealthy Affiliate University, and there I could get Website (free), Hosting (free), a Domain Name (about $13/year) and high quality, newbie-friendly training as well as support 24/7 for $47/month. When I had no clue how to drive traffic to my new website or how to add relevant images to my articles, Wealthy Affiliate University, and its community helped me out tremendously. Trust me, you will find yourself stuck many times until you get the hang of online marketing. Having a bunch of people willing to help you, regardless what time it is, is priceless, and you won’t find this level of support at any other training programs. Luckily, Wealthy Affiliate University let you test drive the program for free, as long as you wish, so join free and see for yourself if it serves for your purpose of not. Once you become a free member, you get to access to a website builder tool where you can create two free websites with free web-hosting. Literally in a few minutes, you will have your first website up and running on the internet. It is to start a blog site, share your interest/passion/knowledge with the world, and earn commission through affiliate marketing. The keyword to success: This business is the business of HELPING, not selling. You always need to keep in mind: Write your content to add values to your readers lives. Just like any businesses out there, trust is the core element of your online success. Trust comes first, and revenue follows after. Write for people genuinely from who you are. Share the knowledge you have. Many people will find it interesting and helpful, and your website will naturally generate traffic as long as you keep working at it. This is the very reason as to why there is no such thing as “make-a-quick-buck-online” because it takes a time to build trust among people. Do not rush the process. Be perseverance and take time to grow your website. If any programs claim quick success, know that it most likely is a scam. Get Started with Your Blog Site, Today! As far as I know, blogging is the best way to earn income online and the financial potential is limitless, as long as you are patience and determined to keep working on your site. I know many people wish for an easy and quick result, but like any other off-line businesses, it required time to grow, your hard work and dedication. But your hard work will be totally worth it. Once you established an authority site, it could bring you a passive income for years to come. Imagine what the potential is when you start running two, three or even more websites in the future. Join Wealthy Affiliate for free and let’s get started. Let’s take one step at a time. I’ll be there to help you through the process. I look forward to connecting with you and working with you. If you have any comments or questions, leave them below or you can get in touch with me at yuko@yukosonlineincometips.com. 38 Comments on "The Best Way to Earn Income Online – Blogging and Affiliates"
Hello Yuko, I should have been Getting Started Online today. Because, you simplified my task so well to the extent that I am even wishing today was my first time. I know that your audience will be glad they found your site. You were not kidding when you said step 3 was the most daunting. It is really the most daunting. But if your readers will stay with wealthy affiliate, they frustrations should be lessened. Thanks so much for posting it, it reminds me of how lucky I was to find WA when I did. I am a success story as I have built my business using all of the free tools and support I got from WA and I am still going strong after 3.5 years. When they say free they mean free. You can stay a free member there as long as you want and you get 2 free websites to build, can’t go wrong! Are you a member and if so how do you like it? Yes, I am a member of Wealthy Affiliate and I absolutely love everything about it! Truthfully, without WA training and support I wouldn’t have had this very website up and running. You are right, when they say it is free, they really mean it. People can stay a free member forever if they wish. I hope many people would take the advantage of the service WA has to offer and start building the resource of income online! Hey Yuko, Great article. I already know and can wholehaertedly recommend the source…. Wealthy affiliate. I wished I had found it several years earlier when I started my first online entrepreneurial steps. Great how you laid it out in the post with all the visibles. Nice. Keep up the good work! Thank you for the kind comment! I too wish that I had found Wealthy Affiliate a lot sooner as I had to experience not-so-trustworthy online programs before finding WA. But I guess I was lucky enough to find it at a relatively early stage of my online journey. Honestly I don’t know any other programs as genuine and educational as Wealthy Affiliate. Best of luck to you with your online endeavor! Awesome information! Sounds like you get everything you need at Wealthy Affiliate University. Everything you mentioned in this post is free, but I’m sure there is an upgraded version, or additional training at a cost? So far I’m saving money by skipping Host Gator and any other website building program they or others offer. So can I use Wealthy Affiliate to host all my websites? 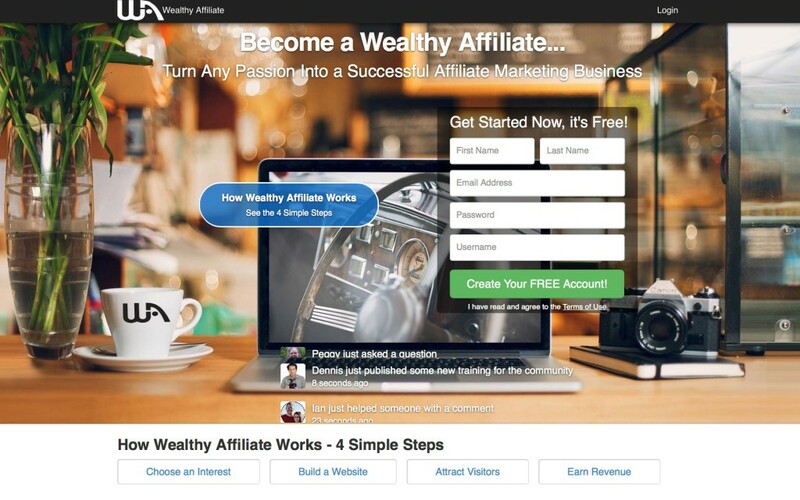 You can absolutely use Wealthy Affiliate to host your websites. As a free Starter Member, you can host up to 2 website totally free. Yes, there is a paid membership called Premium, which is $47/month. As a Premium Member you can host unlimited websites at Wealthy Affiliate (up to 25 sites if with your own domain names). But that’s something you can think about down the road. My budget was tight when I started out so I joined their program free. You can read my full review of Wealthy Affiliate here. Support is a must for your success, and I can assure you that you will get it for sure at Wealthy Affiliate. You will be surprised how helpful the community and the owner is. Give it a try! Hello Ms Yuko! Your site here is just fantastic and full of fluent well put together information. I always did like this type of WP Theme as I have a free version of it. After today, I am going to have to upgrade because you did an excellent job, constructing your site. I hope we can network with each other in the future and good luck with your online business. I am glad you liked the structure of my site. I am quite happy with this theme too, and this is the free version by the way. As I said I built this website totally free, and later paid $10/year to purchase my domain name. That’s it. If you are going to upgrade the theme, I would love to know how you like it. I may consider doing the same in the future. See you around and good luck to your online endeavor! Hello Yuko, your blog is great, because there are so much information how to start business online. People, who never thought about opportunity to create a website for themselves and their visitors, would be glad to know about Wealthy Affiliate. This company is legit and transparent. It lets start online business for people who are complete novices. Of course, it is one thing that everybody needs to have: patience and perseverance. We need these traits because here so much to learn. Thanks for comprehensive review, all the best, Nemira. I remember I too was surprised to see how comprehensive and supportive Wealthy Affiliate is. The courses are so well organized and easy to follow. When I first started out online, their program helped me tons to have a smooth start as an online marketer. I know if I can do it, anybody can do it. It is my hope that more and more people realize the potential of earning income on the internet and give it a try. Thanks for dropping by, and best of luck to your online success! Yuko, this sounds easy enough. I am also a member at Wealthy Affiliate and love it. Although I have to say that building a blog and readership is not as easy and it will take time and dedication. Also, I believe you can’t host your own domain if you use the free membership at Wealthy Affiliate. And a domain like domain.siterubix,com is not very attractive. I think if you are serious about building an online business, taking a step forward and make some investment is okay. Everything doesn’t have to be free. They can start out without spending any money and get a feel of it. It is a good and necessary learning phase for any online entrepreneur and it is great that Wealthy Affiliate provides the basic training completely free. I am a strong believer that everybody has a right to be happy. I want to share this valuable information with as many people as possible. Good luck with your online endeavor too Anh! I agree that there are several ways for someone to make money online but nothing can be compared to having a website, as it is a platform where all the information and promotions will be stored and this is where you will engage with the visitors and potential buyers. Some people believe that by bombarding other people with raw affiliate links posted in social channels or other sites will make them rich, but this is not how the things work. No one could trust easily nowadays without a website property. These 4 steps is the path that I followed when I got started. The most difficult part was to choose a niche. Of course, this type of business requires consistent writing and blogging, but if you are a fan of computers and the internet in general, you are on a right way. Which are your favourite affiliate networks? Thanks for sharing your thoughts on online business. I agree that a website is a must for a success as you first need to build rapports with people. Posting an affiliate link on your FB page or Twitter will never do a job because you are not providing any value to people. As I stay in this internet field longer, I learn that truly successful people are all those who love to help others. As for affiliate networks, I like Rakuten and ShareASale. I find the affiliate site at ShareASale a bit difficult to navigate, though. I am a fan of Amazon too due to their worldwide recognition although their commission percentage is not high. This is definitely a great post (guide) on how someone can start making money online. The most important thing is – “For FREE”. It is always difficult for a newbie to invest a huge amount of money in order to start an online business (affiliate marketing). It is good to know that there are ways to start it for free or at least, at a minimum sum of money. Your step-by-step guide here is extremely useful for people who has no idea where to start. My experience tells me that choosing a niche is the most difficult process. At the same time, it is the most important one. Well done Yuko! Keep it up. I will come back for more! I too agree with you that selecting a niche is the most crucial part when you start an online business. You really do need to have a passion or, at least, an interest to discuss (write) about the topic. You don’t necessarily have to be an expert from the beginning. But you need to be willing to learn, having a fun learning on the topic (this is important, have fun!) so that you will enjoy sharing the knowledge with readers. I strongly urge newbies not to fall for those programs. Most likely they are not legitimate. Legit programs always provide you a free trial and see the program for yourself. Only then, you can decide whether or not you want to start your own business. I hope this post helps people see that they must be the one in charge and there are ways to start out online without any money in the beginning. ive been looking for some weys to earn extra income or even full time income online for a while. With all the scams out there you have to be really carfull about how you choose to go in to business. how long would you say it takes before you see income? Thanks for commenting. I would say 3-6 months until you start seeing income flowing, although it depends on the niche you picked. The nice thing about online business it that you DO get payback for the time and effort you invested. The earnings may seem very small in the beginning but it only grows as time goes by, as long as you do not quit. That’s the huge difference between having your own business and working for someone else. The entire process of making money through affiliate marketing is explained simply through one detailed article. It explains everything from building a website, driving traffic to our website and earning money using our website. All these factors were explained in a simple and beautiful manner. Also I would like to hear from you more about the SEO techniques that can drive traffic to our website. I’m glad this article helped you to understand how you can make money with affiliate marketing. I truly think it is the best way to earn money online if you wish to start out free. Many people jump into online survey things and end up spending a few years while you could have spent the same amount of time to actually build your own affiliate business and earn real income. Hello, Yuko. I am fascinated by the way you wrote the content of this article; it was easily comprehensible reading through the different ways of doing income money online. As a new member of WA, I just recently posted my second article. It’s really taking a great toll of my time writing the content in my posts as I am still learning how to edit, attach relevant images, and trying to understand the numerous technical words like widgets, etc. At any rate, reading your post give me inspiration to get over the tasks in the lessons. Good job! I can totally understand what you mean. Producing content is an energy-consuming task and time-consuming too, but trust me you will get used to it. I was a complete newbie when I first started out who knew nothing about WordPress, widgets, menu, or overall organization of a post. Just keep taking a step at a time. Do not try to be perfect. You will surprise yourself one, three or six months from now how much you know about online marketing. Enjoy every moment of learning something new. The only thing divides those who failed and who became successful is that they didn’t quit. Keep going at your own pace and you’ll get there. Let me know if there is anything I can assist with you. Wish you a great success with your online endeavor! Hi Yuko. This is a very interesting topic. I am one of those people who also spent many hours looking for ways to make money online for free. Lets be honest here, nothing is really for free. No matter what, you are always going to have to invest your time at the very least, and time is money! Having said that, I agree with you that affiliate marketing is the best way to go. In your opinion, which is the best training platform available to learn more about affiliate marketing? Thanks for sharing your opinion. I must agree that nothing is really free and time is money. Right on! Thus far, my #1 recommendation is Wealthy Affiliate University and #2 is Affilorama. For the organization and quality of the training, I would vote for Wealthy Affiliate. Besides, the huge difference between those two programs is the support system. The community at Affilorama is quite dull and not helpful whereas it’s super easy to get your questions answered at Wealthy Affiliate and it’s quick too, as they offer live chat 24/7. You will get stuck as you progress online (and everybody does), so having a place to throw all those questions is priceless. I haven’t found any other programs that do offer this level of support other than Wealthy Affiliate. This is brilliant! I wish I would’ve stumbled across this site many years ago. I would’ve probably been halfway to a million already. Seriously, this seems so easy that everyone in the world would be able to do it. Thanks so much for breaking it down into these simple steps of how to make money online free. I could comprehend each step so easily that now I feel it will be complicated only if we make it complicated. I also understood that it is completely possible to start out free online, but investing a little of money would speed up our success. Either way, I feel the best of affiliate marketing is that we don’t even need to have our own inventory. Now I understand why this is the best way to start an online business for beginners. Thank you, This is brilliant. Thanks for stopping by and sharing your thoughts. I’m glad this post helped you understand how you can start an online business for free and yet, a little investment would make a world of difference to save you stress and speed up your success. Yes, anyone can start an affiliate business but having a right mindset is crucial for achieving the success. The main keys to success online are 1. not to quit, 2. have a proper guidance, and 3. have lots of support. #1 is completely up to you and there is a perfect place for you to receive #2 and #3. Out of all the scams online, this is one of the rare programs where you can learn all the skills to be successful without upsells or being ripped off. You can join free so see it for yourself. Good luck to your online endeavor! Up until recently, I didn’t know that making money online was this simple. Not easy but if we know how to approach it, and follow the instructions, it can be more simpler than we have imagined before. Start blogging and using affiliate marketing is, in my opinion, the best combination to earn an income online. And what better way and place to learn all of this than Wealthy Affiliate? Frankly, the price we pay is nothing compared to what we’re learning inside the community and to what we can make on a monthly or even daily basis. To everyone who’s reading this post, take your passions and interests and turn into a successful career. It’s the best way to live the lifestyle we all want. I myself used to think earning income online was for those who have special skills only. Now I know that’s not true. I was a complete newbie who knew nothing about online business. By simply following the lessons at Wealthy Affiliate, I am now running my online business successfully. You don’t need a special skill to be in this industry. All you need is the willingness to learn, hard work and perseverance! I totally agree with you that the monthly fee ($47) is nothing compared to the education and support we receive inside Wealthy Affiliate. For the other profession I do (teaching), I had to go to the graduate school for three years and paid way more tuition! People also should know that you can start earning while you are still learning with online business. As the internet is only expanding and dominating our lives, I want more people to realize the potential of earning in this industry! Great simple explanation. Meaning anyone reading it can believe that they can actually do it. I think a lot of people are afraid to start online business just because they are not confident that they can achieve in it. I am pretty new to blogging myself. I followed the steps that you have described in the article, and slowly I am starting to get results. What would be your main tips in trying to establish the authority site? Blogging is a great experience for anyone who likes to write – and adding the earning potential of affiliate marketing just makes it better! It can be a daunting prospect for those who have never tried it, so having a way to test it for free is great. Once new bloggers have seen how easy it is (with a little help from more experienced colleagues), they will soon develop the confidence to expand and make money online. Thank you for sharing your thoughts on making money out of blogging. This is one industry that is going to flourish moving forward, I am sure. It does take time to develop the skills needed, just like any professions, but starting out is at very little or no cost, especially if you could find a trustworthy hosting service like Wealthy Affiliate. I am with the platform a few years now and am very satisfied with their service. I would recommend it to anybody who wish to start out in the online world! Hi there Yuko! I just stumbled upon your website and saw your review of the Wealthy Affiliate program. I thought I would just drop you a quick comment to share my thoughts as I have been a member there for quite a while now. You have displayed the process of making money with Wealthy Affiliate in a very clear and simple way. In fact the process of earning money with Wealthy Affiliate couldn’t be more simple. The tools make building a website and getting started very easy indeed. The only thing that you need to add is a little hard work. Some people think they are going to make lots of money quickly but in my experience its more of a get rich slowly approach with WA. But it really does work and I’m pleased to be a member. You said it perfectly, “Get rich slowly.” Yes, that is exactly how it worked with me and after all those hours putting contents to my websites, now I earn steady income from what I have written months ago. One website I have built based on what I learned from Wealthy Affiliate is this site. It’s an Amazon affiliate site and even though I haven’t been able to add new contents these days (I’m busy with other online projects at the moment) that website constantly brings me small but steady income from Amazon. I am so glad I have followed the lessons at WA and put them into practice. I’m glad to know that it worked for you too! I like your step by step approach on how to get started online and make some good income. i wanted to build an online business, but I just didn’t know where to start from. Now I know that I first need to choose a niche that I’m interested in, build my website write contents get traffic and then start promoting affiliate product on my site for commission. And also thank you for introducing wealthy Affiliate to me as a place where I can go and get help. I’m going to sign up now, since you said I can start for FREE. Thanks for stopping by. I’m glad you found the article helpful. Picking a niche and start promoting products to earn affiliate commission is what I started first, and yes, for free. Eventually, I purchased my own domain that costs me only $13 or so per year. 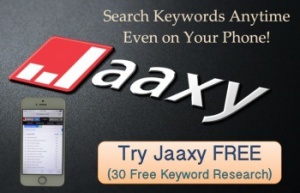 It helped my website rank better on Google. You can read this post to learn how to purchase a domain name of your own. Now I earn online income from affiliate commissions (mainly from Amazon) for all the websites I built over years. This is one of them. The website produced a quite good commission from Amazon over the holiday season even though I don’t have many blog posts there. Affiliate marketing takes time to build but is a sure way to earn in come online and you can start free. Just don’t give up and keep writing for the niche you are passionate about. I wish you a great success in your endeavor!